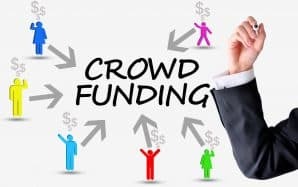 New SEC Rules for Intrastate Crowdfunding - Colonial Stock Transfer Company, Inc.
On October 26, 2016, the Securities and Exchange Commission adopted amendments to change Rule 147 and creating new Rule 147A. Additionally, amendments will be made to Rule 504 of Regulation D. These changes are intending to modernize how issuers can raise money to fund their businesses. Rule 504 of Regulation D is being revised to increase the aggregate amount of securities that may be offered and sold in any 12 month period from $1 million to $5 million and will be effective January 20, 2017. This limit has not been raised since 1988. Because of this new amendment, Rule 505 has been repealed, which will be effective on May 22, 2017. Rule 504 has also been amended to further account for fraudulent activity and bad actors, in which bad actors will be disqualified after any triggering event. These triggering events are similar to the previously existing ones in Regulation D, Regulation A, and Regulation Crowdfunding. Previously, rule 147 under the Securities Act provides a safe harbor exemption for securities in in regards to intrastate securities offerings in compliance with Section 3(a)(11). The SEC just established Rule 147A which will be effective on April 20, 2017. This is similar to the previous Rule 147; however, this new ruling has no restriction on offers. Issuers are now allowed to make offers outside the state under which the intrastate offering is being conducted. These amendments are designed to help companies obtain capital, while still providing investor protection and complying with state regulations. This will allow for additional investor protections to be added, if deemed appropriate. Issuers are now allowed to make offers to out-of-state residents; however, sales may only be made to in-state residents.The House of Representatives believed that any offers made online were not consistent with Section 3(a)(11) and Rule 147. Essentially, Rule 147A allows issuers to utilize general solicitation and advertising through any form of mass media, such as the Internet. Sales of securities may only be made to in-state residents; however, this new amendment allows issuers to reach a much larger audience through their marketing and does not restrict their marketing to any one state or territory. When issuers are advertising their securities they must make it abundantly clear that sales can only be made to residents of that state or territory. This is done to ensure that only residents attempt to purchase these securities. In addition, because of comments received about the new regulation, issuers can make offerings via social media platforms such as Twitter. In the instance of Twitter where characters are restricted, the issuer is allowed to simply provide a hyperlink for any potential investors. In order to purchase shares, the purchaser will need to provide written confirmation to the issuer as to their residency. Additionally, the purchaser will not be able to resell the security to anyone out of state for a period of six months. This does not prevent the purchaser to resell to other persons in state. If the purchaser wants to give the shares as a bona fide gift, this restriction does not apply and the receiver can live in any state or territory. In turn, if the receiver of the gift wants to sell the shares, they will need to abide by the six-month limitation and can only sell to someone located in the issuers state or territory of residence. Intend to use 80% of the net proceeds in connection with that state. Even though the securities issued under Rule 147 are not restricted based on the Intrastate Exemption under Rule 144, the amended Rule 147 and Rule 147A prohibit the resale of securities for six months from the date of sale except for resales made in the same state as the intrastate offering. Purchasers of such securities will need to verify state of residency with written representations. Market makers must comply with all requirements of 15c211 after the six month period if they wish to quote the securities on OTC Markets. These new rules are designed to help issuers obtain capital and market their securities to a larger audience. By raising the offering limit and allowing for issuers to market to out-of-state residents, the House of Representatives has allowed issuers to raise larger amounts of capital.